I want to share this painful story that I printed and put on my collections way back 2007. 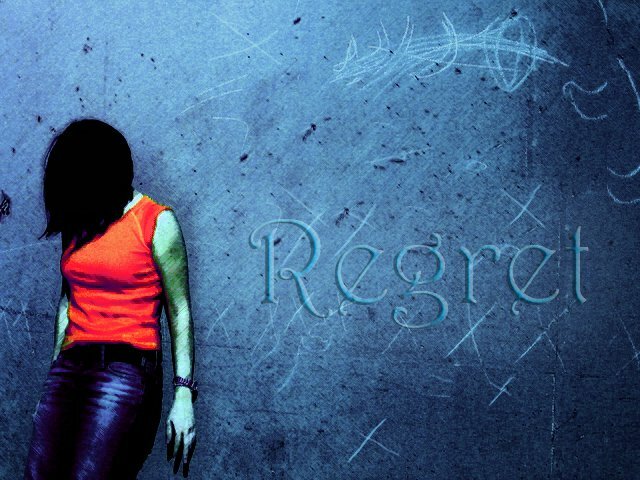 Regret is a feeling that we carry with ourselves to our graves. It is an intense and immensely painful feeling, especially if it’s a regret about something which we did not do or say to our loved one. Have you ever been afraid to do something? And regretted after realizing: “I wish I had the courage back then. Maybe I would have been happy now”. Read this story and be inspired to do something different. As I sat there in English class, I stared at the girl next to me. 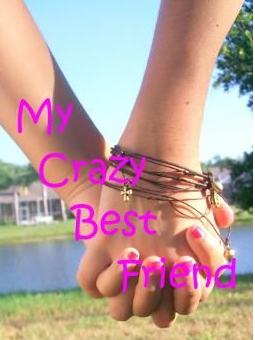 She was my so called “best friend”. I stared at her long, silky hair, and wished she was mine. But she didn’t notice me like that, and I knew it. After class, she walked up to me and asked me for the notes she had missed the day before and I handed them to her. She said “thanks” and gave me a kiss on the cheek. I wanted to tell her, I wanted her to know that I didn’t want to be just friends. I loved her but I was just too shy, and I don’t know why. The phone rang. On the other end, it was her. She was in tears, mumbling on and on about how her love had broken her heart. She asked me to come over because she didn’t want to be alone, so I did. As I sat next to her on the sofa, I stared at her soft eyes, wishing she was mine. After 2 hours, one Drew Barrymore movie, and three bags of chips, she decided to go to sleep. She looked at me, said “thanks” and gave me a kiss on the cheek. I wanted to tell her, I wanted her to know that I didn’t want to be just friends, I loved her but I was just too shy and I don’t know why. The day before prom she walked to my locker. “My date is sick” she said; he’s not going to be well. I don’t have a date, and in 7th grade, we made a promise that if neither of us had dates, we would go together just as “best friends”. So we did. Prom night, after everything was over, I was standing at her front door step! I stared at her as she smiled at me and stared at me with her crystal eyes. I wanted her to be mine. But she never thought of me like that, and I knew it. Then she said “I had the best time, thanks!” and gave me a kiss on the cheek. I wanted to tell her, I wanted her to know that I didn’t want to be just friends, I loved her but I was just too shy, and I don’t know why. A day passed, then a week, then a month. Before I could blink, it was graduation day. I watched, as her perfect body floated like an angel up on the stage to get her diploma. I wanted her to be mine, but she didn’t notice me like that, and I knew it. Before everyone went home, she came to me in her smock and hat, and cried as I hugged her. Then she lifted her head from my shoulder and said, “you’re my best friend, thanks”, and gave me a kiss on the cheek. I wanted to tell her, I wanted her to know that I didn’t want to be just friends, I loved her but I was too shy, and I don’t know why. Now I sit in the pews of the church. That girl is getting married now. I watched her say “I do” and drive off to her new life, married to another man. I wanted her to be mine, but she didn’t see me like that, and I knew it. But before she drove away, she came to me and said “you came!”. She said “thanks” and kissed me on the cheek. I wanted to tell her, I wanted her to know that I didn’t want to be just friends, I loved her but I was just too shy, and I don’t know why. I stare at him wishing he was mine, but he doesn’t notice me like that, and I know it. I want to tell him, I want him to know that I don’t want to be just friends, I love him but I’m just too shy, and I don’t know why. I wish he would tell me he loved me! I wish I did too…. I thought to myself, and I cried. Disclaimer: I don’t own this blog. I have this on my collections way back 2007. I want to share it to inspire more people. All credit to the owner. Sadly, I was not able to get the name of the owner.